Over 200 new and improved dad jokes for any occasion. Two men walk into a bar. The third man ducks. Be the stand-up comedian of the century with 200 new and improved dad jokes for any occasion. This compact compendium of cheesy jokes is the perfect size for carrying with you for all your split-second bad joke needs. Never get stuck telling the same corny joke twice with this easy-to-use reference book to all things funny and punny. 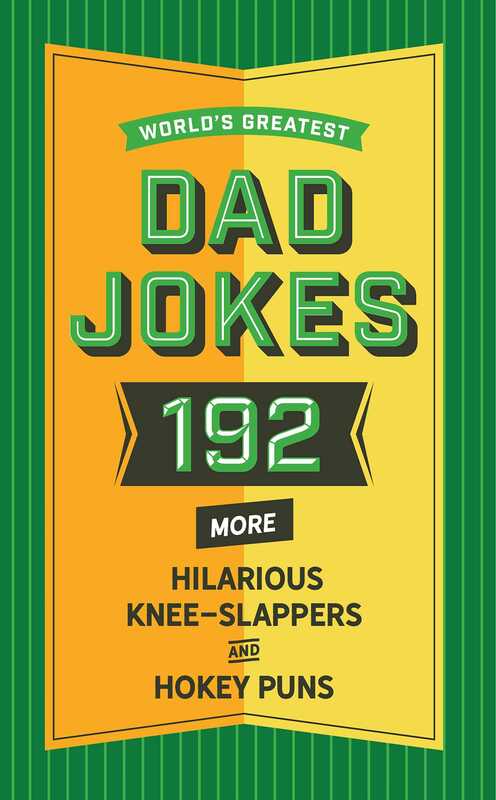 Whether you’re shopping for world’s Greatest Dads or a Faux Pa joker, World’s Greatest Dad Jokes Volume 2 is perfect for anyone who appreciates a well-placed pun.